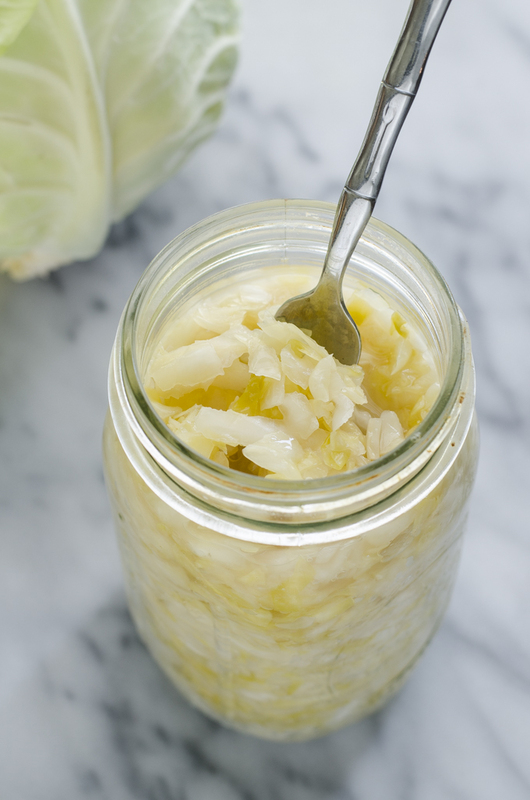 Learning how to make sauerkraut at home is a very useful skill! Does the mere thought of trying to ferment something make you all sorts of scared and nervous? 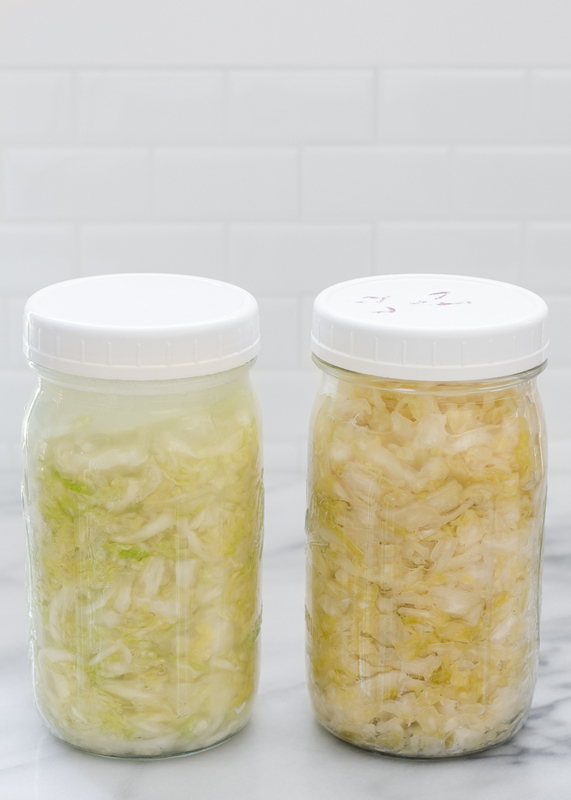 Well, I’ve got just the project for you: Homemade Sauerkraut! It’s pretty simple to make, and requires just a couple of ingredients and only a few supplies. 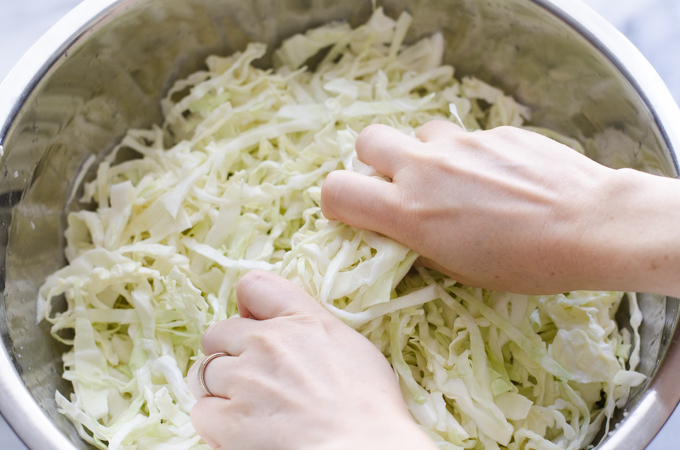 You basically shred up some cabbage, sprinkle it with salt, and massage it until it releases its juices. Then you pack it into jars, weigh it down, cover, and let the good bacteria do its magic! To get the full tutorial and recipe for how to make sauerkraut at home, head on over to my guest post on The Pioneer Woman’s blog! 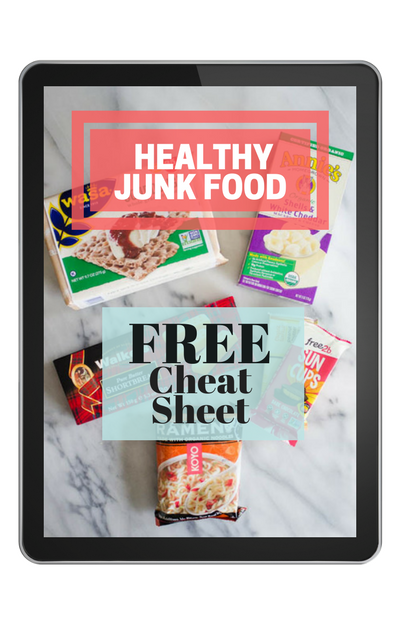 This can save you tons of $$$ over buying fermented sauerkraut! 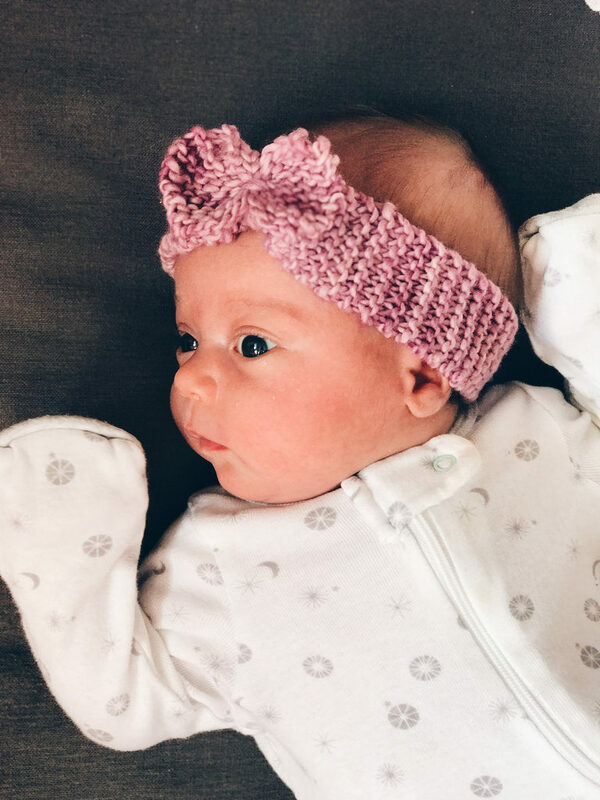 Anya is a month old now. We survived the first four weeks! 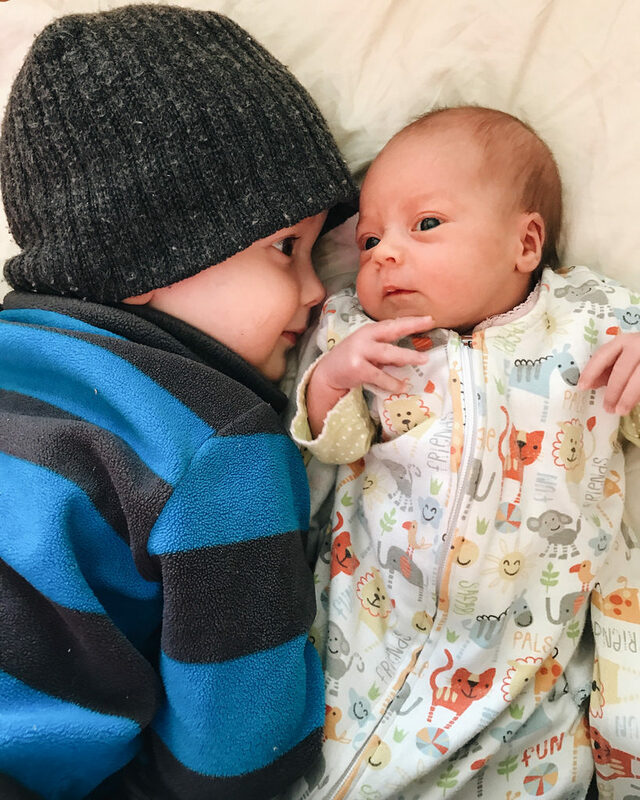 My recovery has been SO much better this time around, but the newborn stage is still rough. Sleepless nights drive me insane. But we’re slowly starting to get into more of a rhythm. 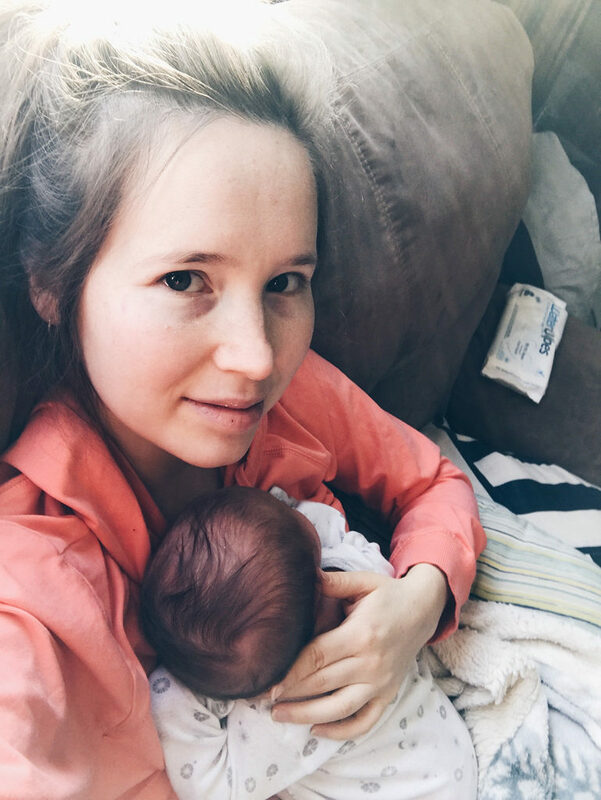 This is what my days looked like for the first few weeks postpartum: messy hair, dark circles from lack of sleep, sitting on the couch with a baby sleeping on me. I really hate not being able to do anything for myself, but I think doing absolutely nothing contributed to my better recovery. The house is coming along! Reuben has a lot of the walls built for the upstairs, and I think the roof will be going on soon! I’ve been sending the kids outside to play as often as I can. 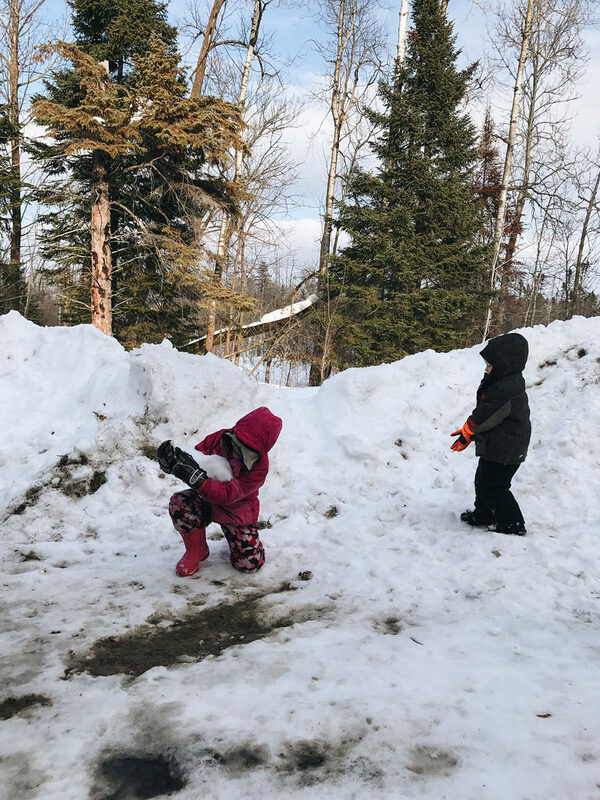 “Spring” in northern Minnesota is pretty dirty and snowy, but it’s much more conducive to outside play than the -20 degree January days! Drinking: This GT’s mango kombucha is delicious! I drank it while I was in labor, and afterwards to keep me hydrated. Eating: This Triple Cream Chocolate Yogurt from Siggi’s is very good – not overly sweet and so creamy. 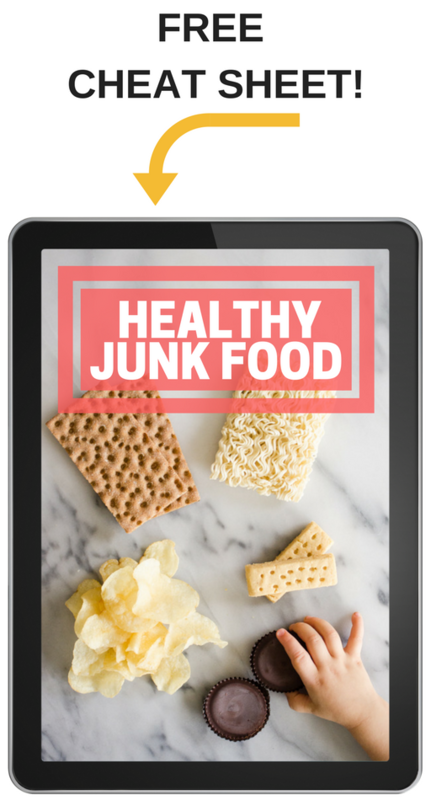 Listening: I’ve been enjoying The Live Simply Podcast, particularly this episode interviewing Vani Hari about the lies that the food industry feeds us (pun intended). 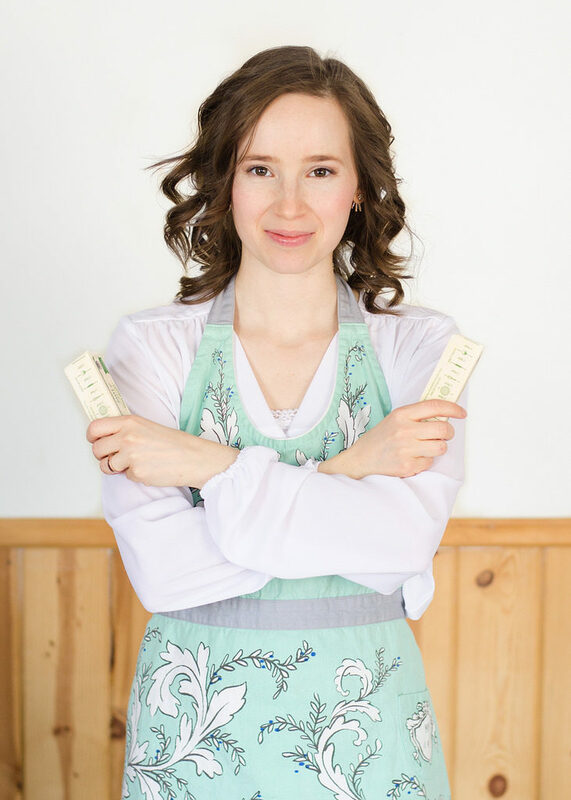 Watching: During my postpartum recovery, I enjoyed watching the “We Bought a Hoarder House” series on YouTube – basically, a Canadian gentleman buys a hoarder house and takes you on the journey of going through the junk in the house and finding treasures and working on remodeling the home. It’s kind of like getting to go through someone else’s stuff without having to touch it. 😏 Caveat: There may be some swears. How’s life been for you, friends? What have you been enjoying lately? Anya is lovely! She is so sweet! 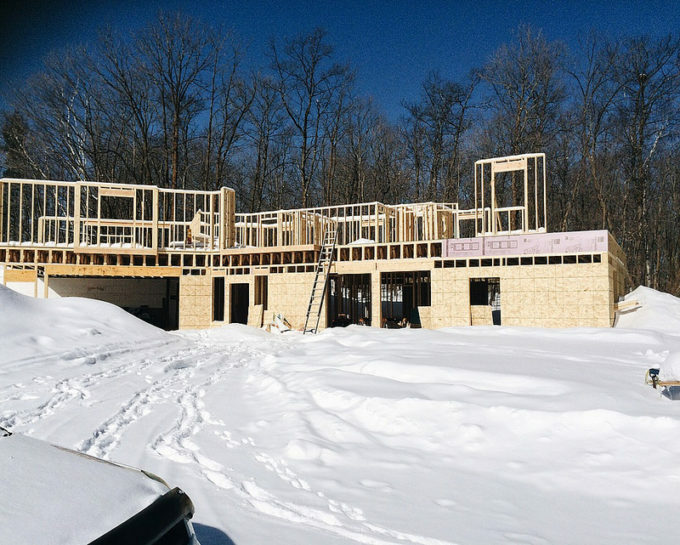 House construction looks great, I work for a contractor so I know how exciting and frustrating construction can be. Hang in there, the wait will be worth it in the end! Yes, there are so many delays and little decisions to be made! But we are going to love living there, I just know it. 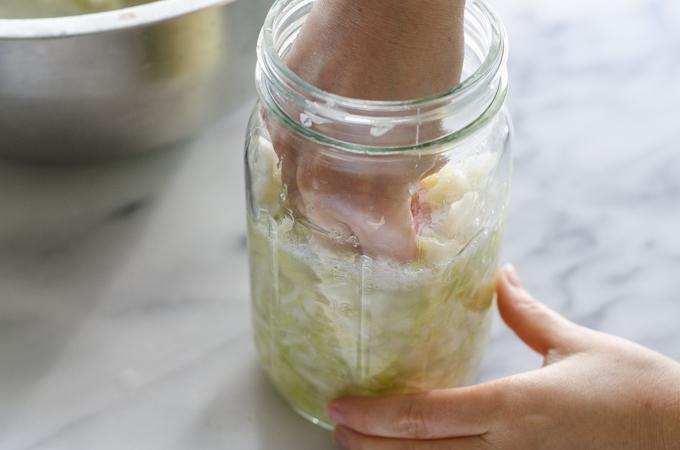 Thanks so much for the guide on making sauerkraut! Looks delicious. Cannot wait to make my own at home.